Welcome to a new series. Yes! A new series! This series is going to be all about Lush. I know this doesn't surprise anyone but as I have enough Lush products to create my own little branch within Bradford I thought it was time to create a series so I can tell you guys all about what I think about certain products and other things such as what to use when going to an event, what to use depending on your skin type and other things. I know I'm not a Lush member of staff but I've used enough stuff to say at least something so even if I don't fully know what can help you personally then I'll always advise going to Lush and asking them due to them having training and such. Today I had the bath that dreams may be built upon. 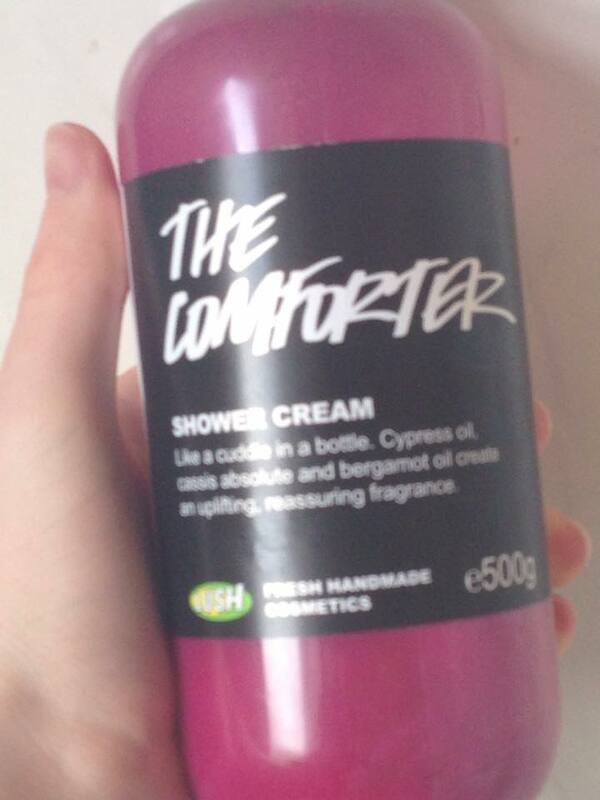 When I went to Oxford Street, I decided to pick up some The Comforter Shower Cream. 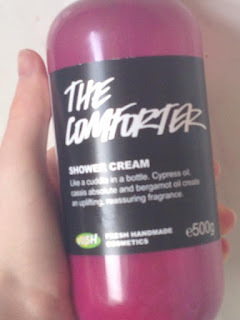 I knew that it wasn't a Ox St exclusive any more but I knew that I wanted some of it and as I was in the middle of the lush universe at this point I felt it was right to purchase some. 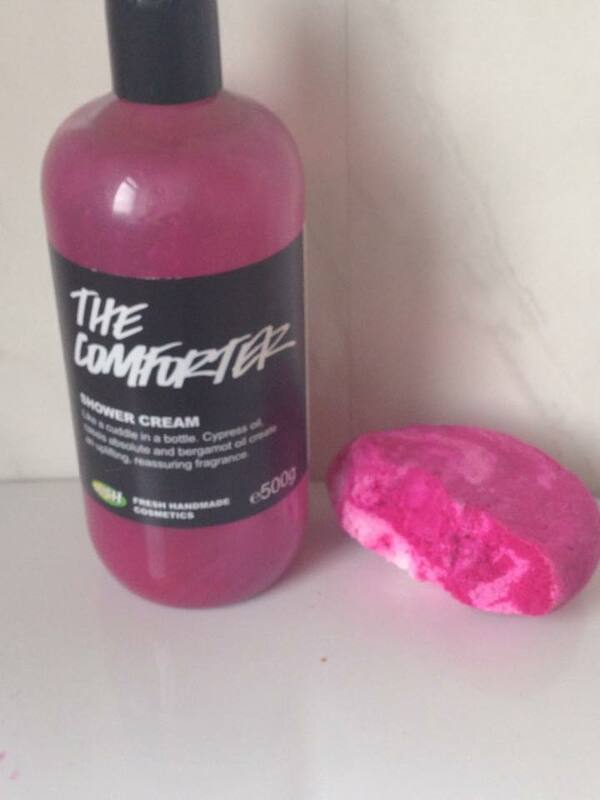 The Comforter Shower Cream contains Almond Oil which is nourishing to the skin. There is some other ingredients that add to the Oil which make it into a cream but the shower product contains Cassis Absolute, Bergamot Oil and some other things which give the product a heavy Blackcurrant and Vanilla scent if you haven't tried The Comforter before. The shower cream does have a silver snowflake like lustre so if lustre is a pet hate then it's up to you if you want to cope with it or not. There is the bubble bar which doesn't have lustre but creates bubbles and is meant for the bath and not for applying directly onto your skin. 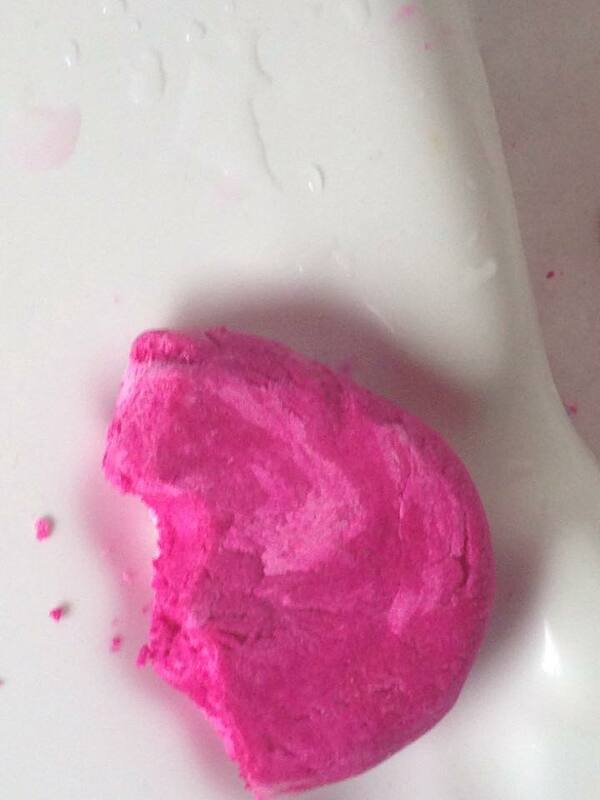 The way to use a bubble bar is to crumble it up and run it under hot water. This works perfectly but the best way to use it is to crumble it and put it into the bath and then let the water run. The bar contains the same sort of ingredients and scents but isn't as nourishing as the shower cream. The bar has been going for many years and is priced at £4.95 which is slightly expensive but is worth it as you can get up to eight baths out of it. /The way that I created the bath cocktail was was crumble the bar in the bath and then squirt some of the cream into the tub and then I ran the water. When it got to halfway about where I wanted it to be I squirted a slight touch more cream to the bath to ensure that it was creamy enough. If you wanted to make it more luxurious then you could add either half a Twilight bath ballistic or maybe using a Dreamtime bath oil/melt. This would make it more relaxing. 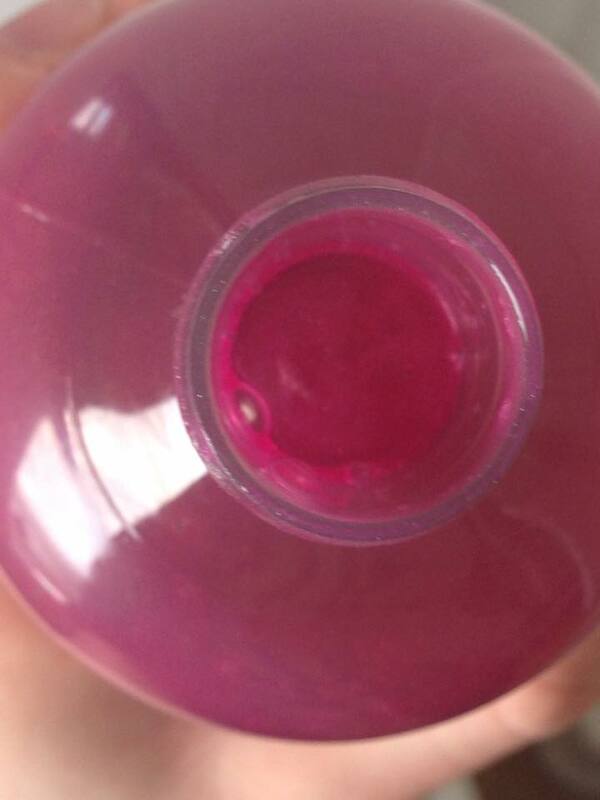 The outcome of the cocktail? The bath felt luxuriously soft and was filled with bubbles. 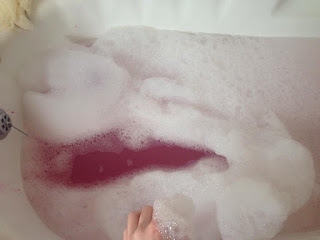 The blackcurrant like scent wafted from the room and literally lured you into the bathroom as it was that strong, The bath had a wonderful colour to it and the bubbles felt as light as a feather. The scent lasted on my skin for quite a while which I loved and I will be making this cocktail again for when I want a full on soaking treat. Have you used The Comforter before? Have you bought any of the new shower cream recently? If so what is your opinion of it? Did you enjoy this blog post? I hope you did as I shall hopefully be doing these posts once a week which will include reviewing products, talking about Lush in general, talking about what products suit certain skin types and much more. I hope to see you soon for another post from this meowing Lushie!